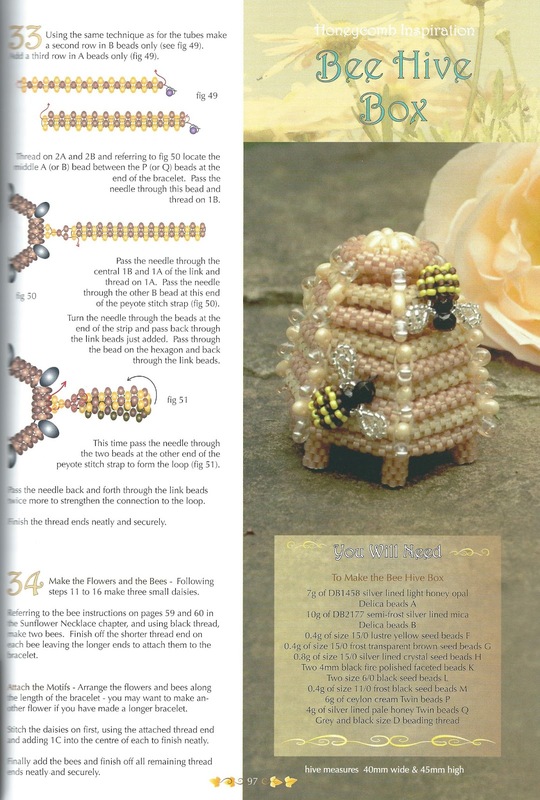 All small bead enthusiasts will have been eagerly awaiting the latest book from expert designer, Julie Ashford. ‘Floral Beaded Jewellery’, published by Spellbound Bead Co, is 112 pages of beautiful, nature-inspired jewellery designs for beginner beaders through to experienced beadworkers. Open the front cover and the first thing you will find is a very useful loose page that lists all the available bead packs to accompany the projects in the book. Each pack is priced and the different colour options are referenced to pages in the book which is a really helpful detail. Turn the page and you’ll see that the book is divided up into two sections, the first covering basic information and techniques (including a double page spread on the supplies you will use) and the second (divided into chapters) presenting the projects themselves. The introduction explains the difficulty levels assigned to the projects — two rosebuds indicates a design where you will get to practise a technique with a repeating motif, whilst a four rosebud project will involve several stages building to a finished piece. There is a good balance of easier and more difficult projects in the book. The tips and techniques chapter covers basic stitches and has some good ideas for making following the instructions easier. Creating a bookmark as a quick reference for beads and their codes is definitely a simple idea that I will be using! And if you want to practise on something small before diving into one of the projects, you can create a finished item in relatively quick time using the instructions in the simple motifs section. 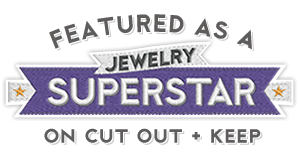 A good project to begin with is the two rosebud rated ‘Carmen’ which teaches you a star-shaped flower motif that is then repeated to create a necklace or bracelet. The main project is shown in the olive/purple colourway but the other available colourways are also pictured in the project pages. In addition to the main project, there are more designs inspired by the original design including one which adds texture and depth to the flower motif you learnt for Carmen. There are two more two-rosebud level projects (Daffodil and Eloise). 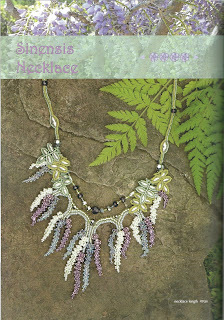 You’ll learn to create foliage as well as flowers and add some sparkle with faceted beads. The inspiration projects will have you adding beaded tassels. Stepping up a level, you’ll find some brightly coloured project choices in the ‘Papillon’ and ‘Sunflower’ chapters. I particularly like the sweet honey bee earrings included in the sunflower collection and the additional projects in the butterfly themed chapter could actually be a great place to start if you want to create a finished piece quickly. Also in the three rosebud category are the ‘Bluebell’ and ‘Honeycomb’ collection of designs. The white variation on the bluebell necklace would make a stunning bridal piece whilst the honeycomb chapter even includes a unique beaded beehive box! 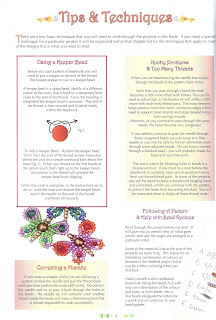 (I have the Honeycomb bracelet bead pack and will let you know how I get on with it in a later blog post!). There are two four-rosebud rated projects to have a go at. If you are a confident beadstitcher already I am sure you could jump straight into the rather delicate and beautiful ‘Kyoto’ necklace. This design is one of the pieces on the front cover and includes herringbone rope sections as well as the buds and blossoms. The other cover star is the ‘Sinensis’ necklace and this project is another example where simply changing the colours of the beads used could transform the motif from flower to catkin! 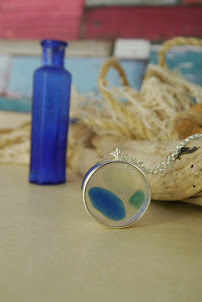 (Don’t be afraid to play with the colours in any of Julie’s designs to get equally beautiful results!). If you loved the previous titles from Julie Ashford (Spellbinding Bead Jewellery, Beaded Tassels, Festive Beading 1 and 2), you will certainly not be disappointed with this latest book. 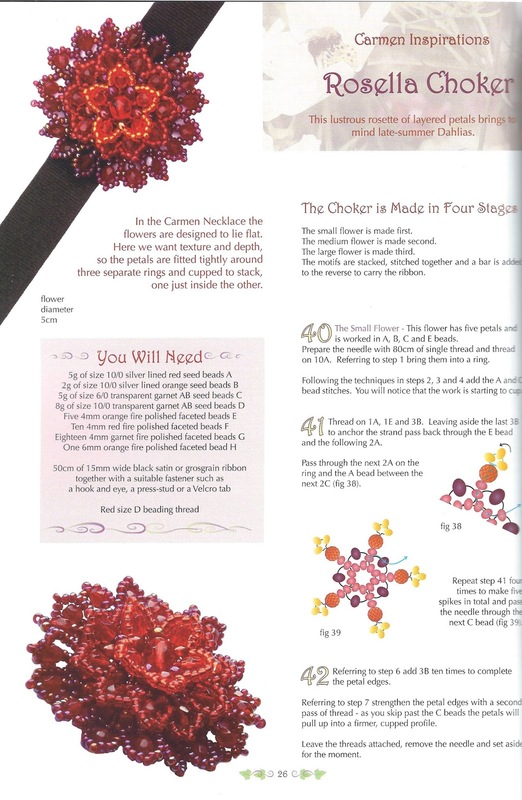 If you are new to Julie’s designs then you will find her instructions clear and easy to follow with plenty of diagrams and helpful hints to ensure you get great results. 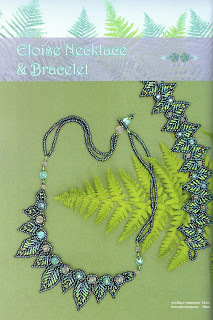 The book is full of photographs of the finished pieces in virtually every colourway and with ready-made bead packs available for many of the designs, it couldn’t be easier to get started. 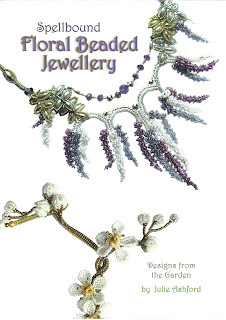 ‘Spellbound Floral Beaded Jewellery’ is £14.95 and can be ordered via the Spellbound Bead Co website.